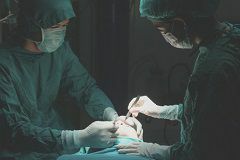 Recovering From Motorcycle Crash Facial and Dental Injuries | Hupy and Abraham, S.C.
You may have trouble eating, breathing, sleeping, or talking. You may be unable to do your job. The physical pain, the financial expenses, and the emotional suffering from the facial or dental injury you suffered in a motorcycle crash may all be significant and now is the time to take action to protect your recovery from your serious motorcycle accident injury. Medications including antibiotics to prevent infection and pain medication. Surgeries to repair broken bones. Orthodontic work to fix broken teeth. Your specific medical treatment plan may need to be worked out with a team of doctors. See a dentist and follow your dentist’s, periodontist’s, oral surgeon’s, or orthodontist’s planned course of action. Additionally, you may need to see a medical doctor for related injuries. Keep documentation from the accident scene. This includes pictures of the accident, names and addresses of other drivers and witnesses, and any other evidence you collected. Be cautious about speaking with insurance adjusters. Some insurance adjusters may urge you to accept a quick settlement in the hopes that you will take a low amount. Make sure you understand the full value of your case and insist that your losses are fully covered. Schedule a free consultation with a motorcycle accident lawyer who can help you understand your rights, file your claim before the statute of limitations expires, and protect your recovery. If you fail to take action—if you fail to protect your rights and demand damages—then you won’t make a fair recovery. The person who hit you or his insurer will not automatically compensate you for the significant harm that you’ve suffered. Accordingly, we encourage you to start protecting your rights today. Please download a free copy of our book, The Ultimate Guide for Motorcycle Accident Victims, today to learn more.